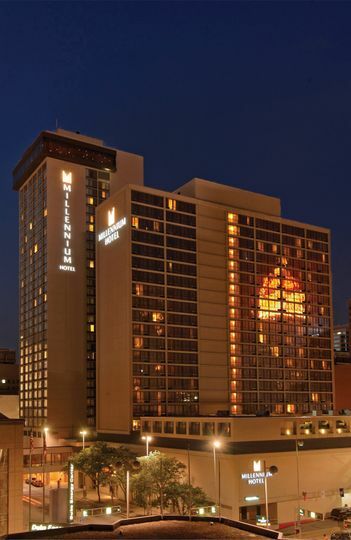 A wedding venue in Downtown Cincinnati, Millennium Hotel Cincinnati is the perfect location for all your wedding needs. 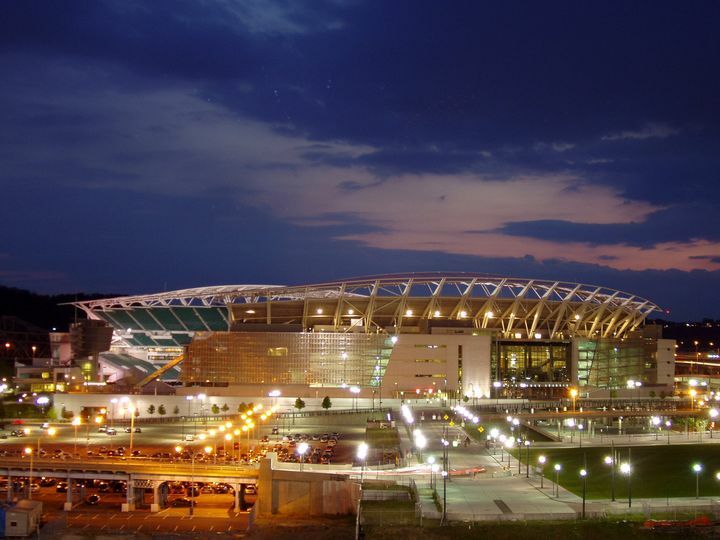 Located conveniently near shops, museums, restaurants and entertainment, you and your guests will find yourself a short drive away from the Cincinnati Zoo, Botanical Gardens and Beach Waterpark. 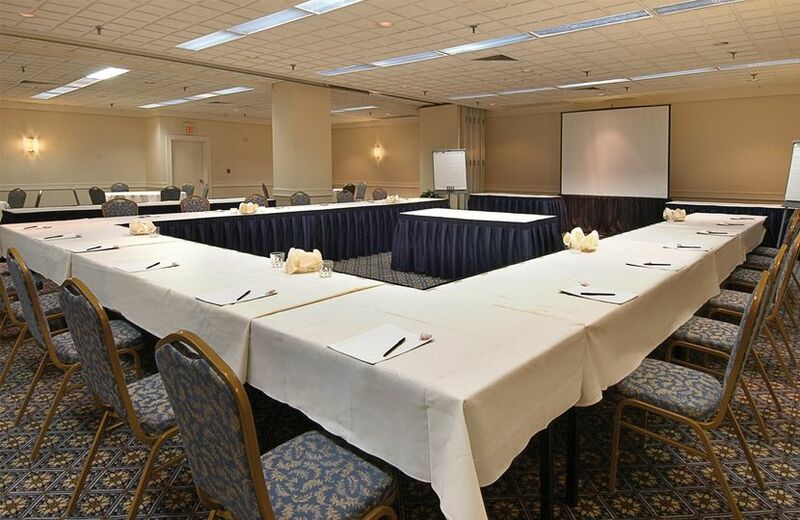 With three event spaces for your special day, couples may choose between the Grand Ballroom, Ventanas and Bronze Ballroom. 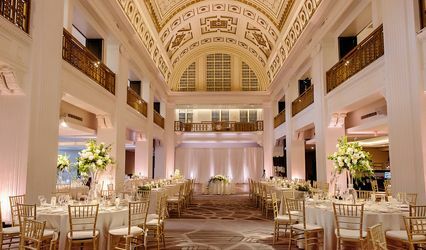 The Grand Ballroom features high ceilings, gorgeous chandeliers and stunning views for accommodations of up to 600 guests. 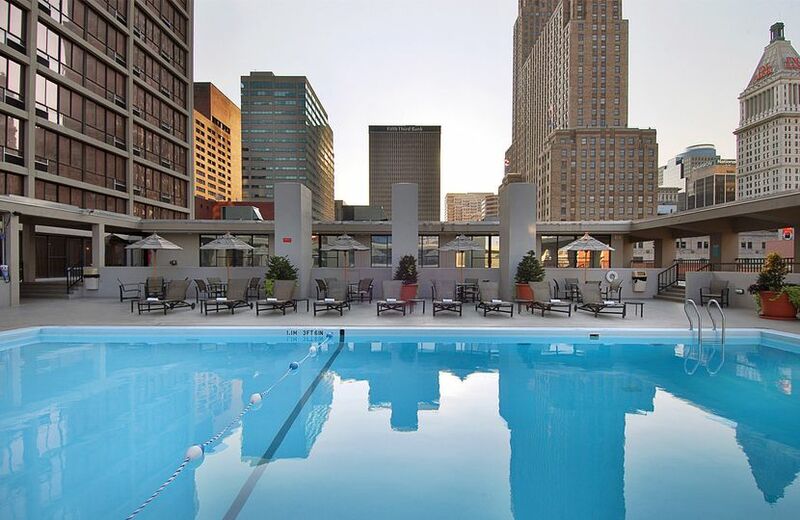 Ventanas is located on the 31st and 32nd floors of the hotel, allowing for panoramic and breathtaking views of the city. 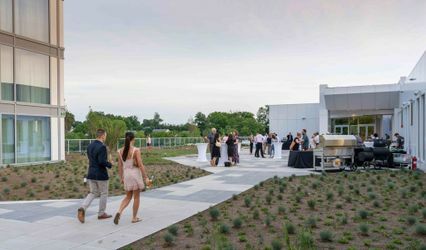 This space is 1,292 square feet and can hold 145 guests. 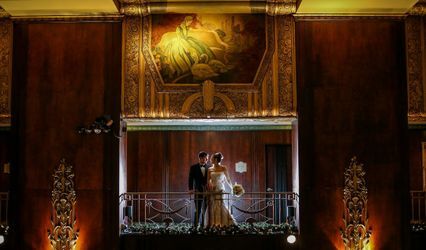 The Bronze Ballroom has accommodations for 300 guests and is perfect for your elegant wedding with gorgeous lighting, high ceilings and a spacious area to dance all night. 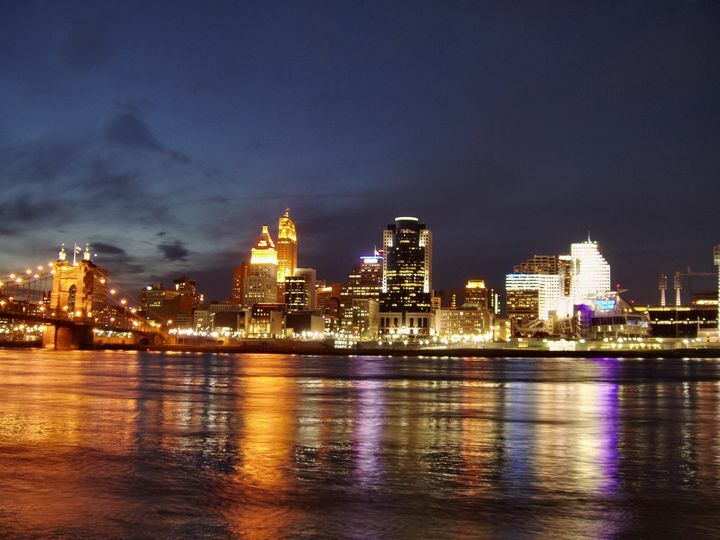 The hotel is most known for its 872 spacious guest rooms that offer stunning city views. 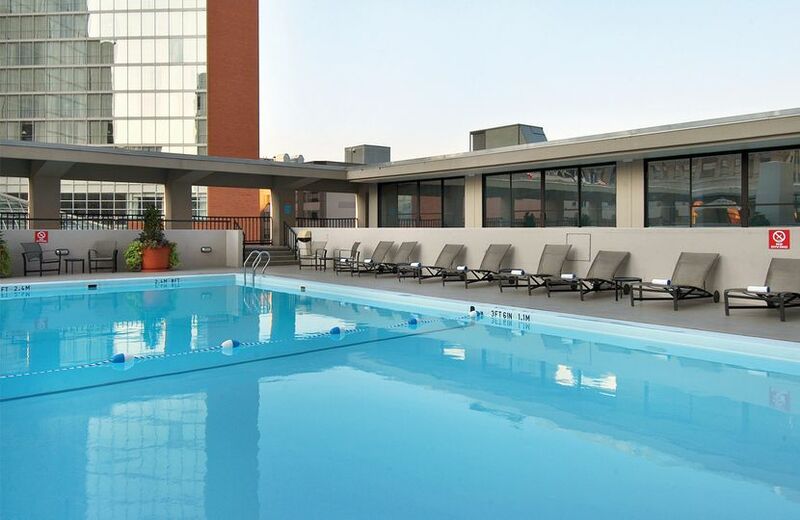 Amenities include a rooftop pool and sundeck, fitness center and business center, as well as in-room perks like a smart TV, wireless internet, work space and coffee/tea. Personalization-They are so willing to work with you-we completely customized our food and beverage menu to fit our tastes!! Rehearsal-Rehearsed in the Grand Ballroom which was nice. As for the dinner had our rehearsal dinner in Ventana's, their private restaurant on the top floor that overlooks the city, absolutely beautiful! The hotel staff was awesome. We had to switch our contact person/planner in the middle of planning as the guy we were working with left the hotel, but we didn't lose any progress and the new person stepped in and continued with us through our wedding. It was beautiful and unique! When we first booked, we booked with Connie, she was amazing and followed through on everything to a "T." She was truly a pleasure to work with. About half way through the planning, Connie went on medical leave. Once Lia became our contact, we started having communication issues. Lia was 110% on top of her game everytime we met, but she did make me feel extremely unimportant throughout the process and often never responded to my emails. I felt she disliked me from the get-go and I only wish the relationship could have been better and more solidified. When I took the matters to the GM he attended to my concerns, but never once apologized and made me feel inadequate. However, I do understand Lia was trying to cover her own position as well as Connie's during the time. However, that being stated, there is a new event planner I met the night of our wedding named Keisha and she is lovely. Although we had slight communication errors, Lia 110% delivered exactly what I wanted and more. 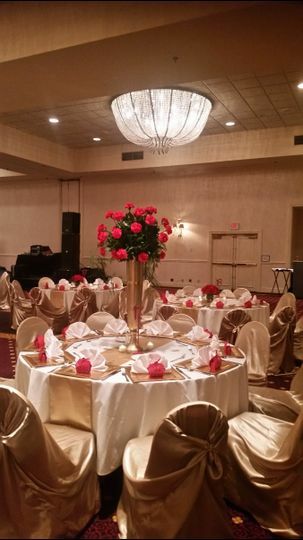 The ballroom was set up Beautifully, the ceremony space was perfect and the food was delicious. I had so many guests compliment me on the food, how beautiful the room was and also on the friendly wait staff. Despite the stress along the way, I don't regret having our wedding there at all. I believe some personalities just done mesh well. It was lovely, fun and classy all of the things I wanted for our special day. 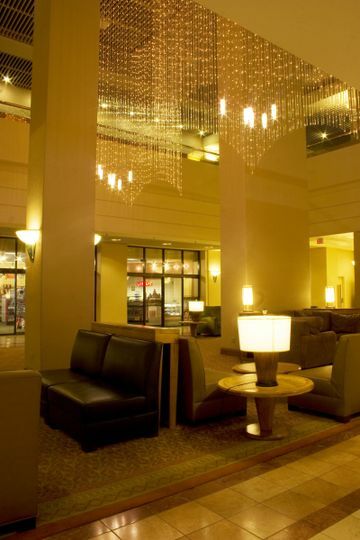 The suites provided were also great. 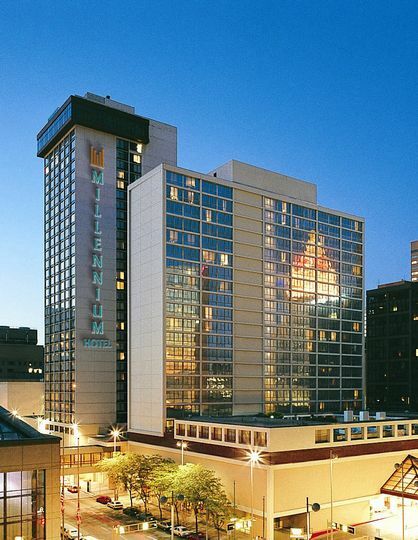 I would definitely recommend the hotel venue (Grand Ballroom) to anyone looking for a downtown wedding.